Experiences that are distressing, painful and, perhaps, even traumatic are unavoidable in life. But are there ways we can work with people to prevent memories of traumatic events from developing into PTSD (post-traumatic stress disorder)? One possibility that’s being investigated for accomplishing this is a method called “updating.” This approach uses verbal techniques to change how traumatic memories are consolidated in the brain. Basically, “updating” tries to decrease the conditioned fear response that can lead to PTSD. You see, there’s a period of time known as the “consolidation window,” when fear memories are being established and strengthened in the brain. This window usually lasts about six hours after the experience of a traumatic event. The updating technique has been used with some success in the treatment of people with chronic PTSD, but only recently have scientists begun to look at its use for preventing development of its symptoms. Dr. Victoria Pile from King’s College London, United Kingdom, led a team of researchers in an experiment designed to look at strategies for updating fear memories. The researchers randomly divided 115 healthy participants into updating, exposure, and control groups. Participants in the updating and exposure groups watched a series of six film clips showing human and animal distress, while the control group viewed non-violent clips with otherwise similar content. In an attempt to alter the way memories were being installed, researchers gave participants in the updating group an introduction that devalued the distressing material they were about to view. Participants from all of the groups kept a diary to record feelings of distress they experienced while watching the films. They also completed The Impact of Events Scale-Revised at one week following the experiment. Participants in the updating group reported significantly lower rates of PTSD symptoms than the exposure group at the one-week follow-up. Their self-reported measure of distress was only 19.7 for the updating group, compared to the exposure (27.2) and control groups (25.5). Now, we can’t generalize these findings to assume we’d see a similar outcome among people who have experienced trauma in real life. Watching a distressing video clip is not likely to produce the same level of fear as experiencing a traumatic event. Also, the study used only self-report and contained only a one-week follow-up. It would be interesting to see further studies conducted among participants who are considered at-risk for developing PTSD, or in a setting (such as a hospital emergency department) that could target people with this intervention shortly after they’ve been exposed to a traumatic event. In addition, we know that working with traumatic memories can be tricky. When helping patients who have experienced trauma, we need to pay close attention to the meaning they associate with their memories. Participants in this study may have ascribed a wide range of meaning to the various film clips they viewed, so that’s an aspect of this research that may need to be examined more closely. Regardless of these limitations, efforts toward working with the “consolidation window” to alter the way fear memories are stored could prove promising in our work with patients who have experienced trauma. If you’re interested in reading more about this study, you can find it in the April 22, 2015, edition of PLoS One. The more we know about memory consolidation and techniques for working with how the brain processes fearful experiences, the better equipped we’ll be to prevent and treat PTSD. 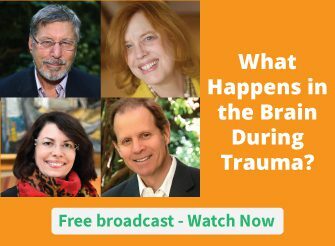 For more on how to work with traumatic memory, be sure to check out this week’s broadcast in the Treating Trauma Master Series. It’s free to watch at the time of broadcast – you just need to sign up. What techniques have you seen as most effective in working with traumatic memories and fear? Please leave a comment below. Amazing results from CISM, EMDR and Peer support. Accelerated Resolution Therapy; it’s like photoshopping the image of the memory and the emotions that come with it. For my own traumatic memories I get into a relaxed state. See clearly in my minds eye the setting and those involved. Then I visualized a more evolved outcome. I don’t deny what happened such as my mother’s abuse but I add a benevolent being human or formless intervening in my behalf giving me the emotional support I need and explaining the truth behind the abusive behavior ( the abuse she received and never resolved). I believe when I recreate the memory and add the new more enlightened understanding, the circuitry around the memory changes. Since the brain cannot tell the difference between a real and an imagined event I have a new memory with less of an emotional charge. Personally, I find release through prayer. I am a religious person who believes Ged still interacts with his people. A prayer for help to deal with those thoughts is quite effective. A prayer for help needs to be repeated as the fearful thoughts again become troublesome. Completly right! He is healing mine too! I’m getting your emails on my phone but not on my personal computer. I’m afraid I’ll miss the video today. Would you be willing to send the link again? I think this a stupid study as it has nothing other than desensitising going on. If you want to stop ptsd then keep active, only sleep when you drop and do everything to maintain a sense of normal or even life carrying on. Ptsd is designed for lifetgreatening situations. The symptoms have survival value and that is not something commonly recognised. I hate stupid studies like this as i waste my time reading them hoping there might be something in there for me. It would be unethical to have a study that strives to create situation where ptsd processing occurs. Study the people who didnt get ptsd, or those of us like me who had ptsd inducing and non inducing life threatening events. This new research appears to explain why the activation of involuntary shaking and tremoring (whether spontaneously occurring or deliberately activated through a process like TRE) in the immediate aftermath of trauma seems to prevent people getting PTSD. By reframing shakes and tremors as a recovery response to be welcomed or even deliberately activated asap after trauma, TRE offers a model of early-intervention self-care that doesn’t require a therapist to be involved as the first point of call. No wonder it’s so hard to get research into TRE by the therapeutic community! This is where learning TRE or any other process that reframes shakes and tremors away from a ‘symptom’ of trauma or panic attacks to part of the body’s recovery response and also gives direct access to deliberately using them during the consolidation window after trauma is effectively a form of trauma-inoculation. Thank you. Shaking off a bad feeling does appear to have benefit. Kind of weird to call it “updating” when it happens before the simulated traumatic event, and not after. Having said this, I believe this to not be too different from “priming” which is giving information prior to an event. I recalled that recent hires what were informed how difficult customer service work could be stayed longer and tolerated the work better than those that weren’t so informed. Speculation is that information gives a sense of control and appropriate expectations, those lowering the traumatic nature of what is presented. I’m finding Dr. Peter Levine’s 9 building blocks of Somatic Experiencing to work very well for the client and for myself. Right now I am working with one of the most intense cases of PTSD that I have experienced so far in my 22 years of practice. The steps help me to address where I am in the midst of my client’s horrific pain emotional pain and body memories. I sometimes find myself allowing my empathy and compassion for this woman to pull me in a bit too far for comfort and I am aware that this can sabotage her therapy. Any suggestions? I was unable to locate the study on PLOS ONE using the keywords from your article here. A link or full citation would have been helpful to include. The content of the talk was not addressed in your article and this seems key to understanding what actually occurred during the experiment. Based on your description, however, it does not seem like the study actually addresses how consolidation of traumatic memories may be addressed by an intervention, but rather how the framing of experience is affected by preparation (i.e., a pre-event intervention). The fact that the experimental group reported stress levels significantly lower than the control group indicates that traumatic memories were not formed in the first place. This study seems poorly designed if consolidation of traumatic memories is truly the focus. However, even after initial consolidation has occurred, the vast majority of non-somatic therapeutic trauma techniques seem to involve some form of work — directly or indirectly — with reframing or reimagining memories, or re-experiencing them in the presence of internal or external resources which were not accessible at the time — thus working within a window of malleability between recall and reconsolidation of the memory. An exploration of how this might work prior to initial consolidation would involve experiments where traumatic memories are first induced (as was done here with the exposure to the test videos), then one group receives an intervention while the other does not. The inclusion of a third group who does not undergo the traumatic experience (i.e., the group that viewed the control videos) would be necessary as well. If the group were large enough to do so, it might also be interesting to divide the test subjects receiving a post-viewing intervention into two or more groups, each receiving the intervention at a different time interval after the initial traumatic experience. I was also perplexed that the control group had higher PTSD symptoms than the “updating” group and almost as bad as the “exposure” group! Something is not right. I also hoped that although not mentioned, the individuals who were traumatized in this experiment received effective trauma relief intervention after this experiment, such as EFT! Yes the consolidation period exists and updating will reduce and or prevent chronic PTSD. After decades of doing trauma healing and relief I used these techniques for a little over a decade now. Discoverimg these techniques prevent chronic trauma and compounded trauma when exposed to new traumas. I’m a trauma survivor that have used these techniques myself and an Executive Director of a trauma healing center with focus of Self-healing. I worked with traumas from wars, genocide to domestic violence in America. From memory lost/suppression to regaining my memories back to post traumatic growth. Here’s NPR news of how I worked on Transforming Trauma into Political Activism as healing and demanding social justice as ways to update and tap into the consolidation period to reduce existing fear. My background is biochemistry, activist and survivor of traumas. I’m thinking UPDATING may be a sort-of lie, to soften the reality. That may *work* for people who have to put up with the traumatized individual, but it might be thought of as a dumbing-down by the victim who realizes the truth later. I am not a practising psychotherapist, although I have done a lot of self development and personal growth work, and have a degree in social science with psychology. My main interest in this would be for myself, as just recently I have become aware of an experience that happened eight years ago that continues to affect me, and that in turn is almost certainly rooted in previous experiences that have been occurring throughout my life. I know I was exposed to a major trauma when I was two years old, so I’m wondering if perhaps I have been suffering from this condition all my life without realising it. I have also just today been in contact with somebody via social media who does have this condition – which is what has made me start wondering if this is what I also have. If you need any volunteers to assist with your research I would also be happy to contribute to this, if I can. Using empathy, having the client talk about the experience over and over on several occasions until it is easier to talk about thus slowly losing its impact. The initial few times need to be done carefully as the client may experience a strong reaction (reliving the incident) and will need a safety plan or be in hospital. With each retelling the risk decreases until it becomes just part of life. As a PTSD patient of an event 26 years ago, I could never, ever have done this. Nothing could console me. Nothing whatsoever has worked for me despite my trying everything. Until recently when healing just bubbled up on it’s own terms. First, in my mind, I was given the actual event to relive in the most positive way, having normal (for me) feelings that I missed out on during the event when I shut down all feelings to survive. In the course of this recent healing, I felt an indescribable joy in my chest and I felt a release of the blame I put on my parents. I guess I had to do it on y own terms, in my own time. What about life after PTSD? I am having difficulty remembering things, especially people. Appointments and stuff I can use online calendars to help me, but no everybody is on social media and not everyone use their own passport photo as profile picture, etc. Would love to know how I can improve (restore) my ability to learn and remember in a short time. I tried mindfulness meditation the first time I had PTSD, and took more than a year to “unscramble” my brain and improve my concentration. But I still have gaps in my memory! Would neurofeedback help? My main technique is EFT-energy tapping. I have twice had the opportunity to work right after an event with a traumatized (relatively healthy) individual and both times the trauma dropped out immediately with perhaps five rounds of tapping. Hundreds of people I have worked with have relieved intense trauma memories over the years. The memories achieve complete resolution in most cases; they can remember them but no longer picture them vividly and the emotional impact is gone. Complex developmental trauma, however, has remained a longer term, more careful process with a range of techniques, though tapping has been very helpful along the way. Recently I had my first client (with developmental trauma) recognize a Reversal in herself and ask for a correction before I was aware of the need; this delighted me. I subscribe to the page: Neuroscience News. On 18 October 2018 they had an article: “Virtual reality may encourage empathetic behavior” (Stanford University). Through personal experience I can vouch for that because I had a severe motorčycle accident in 1986 that left me in a coma for 5 months. I’m going to release a DVD on my recovery-process I followed. I believe that it will give future accident-survivors a concrete example of a recovery. Wait, the control group watched non-violent clips, yet self-reported PTSD symptoms almost as high as the exposure group and higher than the updating group? I don’t have time to read the original article, but something doesn’t sound right. It also seems kind of terrifying that telling people ahead of time that what they’re about to see isn’t really a big deal allows them not to feel as disturbed. Sounds great for morally desensitizing people and a lot like those classic social psych experiments done by Milgram (shock someone to make them learn) and Zimbardo (Stanford Prison Experiment). But it might be more simple. We already know that a lot of trauma comes from how people around the person react. Have caring people let you know your feelings are real and you are loved and cared about, and a life-threatening event can become resilience, whereas blaming you or telling you not to get hysterical drives it into trauma. I would guess that helping people learn compassion for themselves would create a strong, internal presence who could be a compassionate witness for the self, even if others aren’t. Of course, best to have best.